Plone typically uses a lot of RAM (especially if you are installing multiple Zope clients) and by itself is expensive in processing http requests. 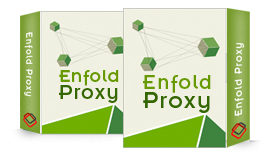 To counter that, Enfold Proxy keeps cached copies of all kinds of web content and in so doing, reduces the number of requests to Zope. $495 per new license or $245 per renewal.